So, after two years of thinking, changing my mind, and then thinking again, I find myself living in the beautiful South West. What a place. I’ve been here eight months and there is so much history, culture and natural beauty that I hardly know where to begin. I am now treading in the footsteps of some of my personal heroes and heroines. I can see why they came and why they settled. There are new artists too who have caught my attention, particularly, the infamous Plymouth artist, Robert Lenkiewicz, who has left a permanent imprint on the City and its people. But then, when you fake your own death, and live with a mummified tramp, I can understand the hype hiding the genius of possibly one of the greatest painters of the 20th century. This website blog is my new chapter. I will continue with the Nature’s Grace affordable art collection that I launched back in Cambridge a couple of years ago, but, there will be more now I have found my spiritual home. For Barbara Hepworth, it was St Ives in Cornwall. For me, it’s Plymouth. Quite unexpected, but I feel I know this place. Who knew that a short break in St Ives two years ago would inspire me to leave Cambridgeshire behind. 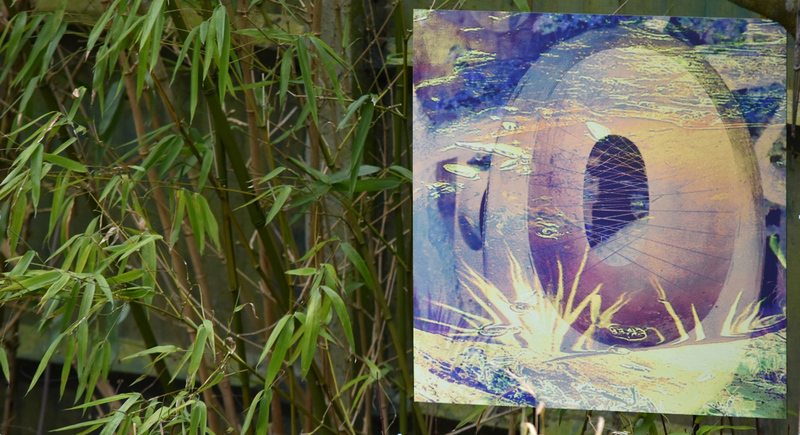 I created a tribute to Hepworth for my own garden back in Caxton, to remind me of the moment when I decided to start my new adventure.